Since 2009, there have been more than 70 74 arrests in nine ten separate actions on Coal River Mountain. Coal River Mountain sits nestled in the Coal River Valley between the Clear and Marsh Forks of the Big Coal River, and is the last major intact mountain in the Coal River Watershed. Coal River Mountain spans an area of approximately 62 square miles. The mountain is blanketed with what is known as a mixed mesophytic hardwood forest, and is home to a rich biodiversity of both flora and fauna, as well as to the residents living in the many valleys around the mountain. Massey Energy coal company plans to strip-minenearly ten square miles of the mountain. Massey Energy’s subsidiary, Marfork Coal Company, has three approved surface mining permits (Bee Tree, Eagle 2 and Slip Ridge highwall) and two pending permits (Leather Leaf and Collins Fork) on Coal River Mountain. These permits were approved by the West Virginia Department of Environmental Protection. In total, the permits cover nearly 5400 acres of the mountain. There is also the brushy fork slurry impoundment on the mountain. In order to carry out the full mining plan, Marfork will need to obtain valley fill permits in order to dump the earth removed in mountaintop removal into adjacent valleys. These permits are issued by the U.S. Army Corps of Engineers, but Marfork has not yet applied for valley fill permits for Coal River Mountain. As of January 2011, Marfork has destroyed about 75 acres of Coal River Mountain on the 1090 acre Bee Tree Permit, on the northwest side of the mountain adjacent to the Brushy Fork coal slurry impoundment. Marfork has completed the first phase of its Bee Tree Mining Plan and is currently in Phase IIA. history: in January 2010 the WV Department of Environmental Protection (DEP) approved the final of a series of revisions to the Beetree Mining Plan to allow Marfork to mine without a Clean Water Act 404 Permit (valley fill permit). These revisions permitted Marfork to mine through Phase IIB of their mining plan. The extent of the mining are shown in light gray on the map (click to download). These revisions permitted Marfork to mine using highwall mining techniques and to backfill as much of the site as possible. Highwall mining is where a bench is cut into the side of the mountain and large holes are drilled into the coal seam to remove the coal. This is similar to a better-known mining method, auger mining. It is not possible for all fill from highwall mining to be put back so the company must find a way to dispose of the excess. Marfork is using the excess spoil to reclaim the high walls of the old Cedar Grove contour strip around the perimeter of the Brushy Fork Impoundment. In preparation for Phase III of mining on the Beetree Permit, Mafork Submitted an Incidental Boundary Revision application to the DEP in November of 2010 to construct a valley fill in the back end of the Brushy Fork Impoundment. Active high-wall reclamation and the use of this valley fill for excess spoil disposal will likely allow Marfork to mine Phase III of the Beetree permit with-out the acquisition of any additional valley fill permits. No activity has begun on the Eagle No. 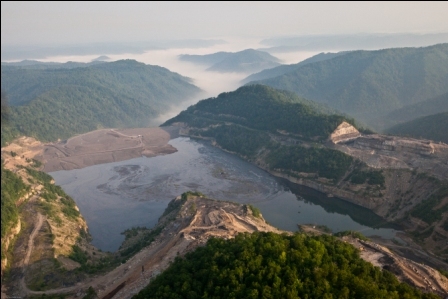 2 surface mine that is permitted to perform mountaintop removal on the summit of Coal River Mountain. No valley fill permit applications have been spotted for the Eagle No. 2 Surface Mine, but the amount of mining that can be done without these permits is at this point unknown. 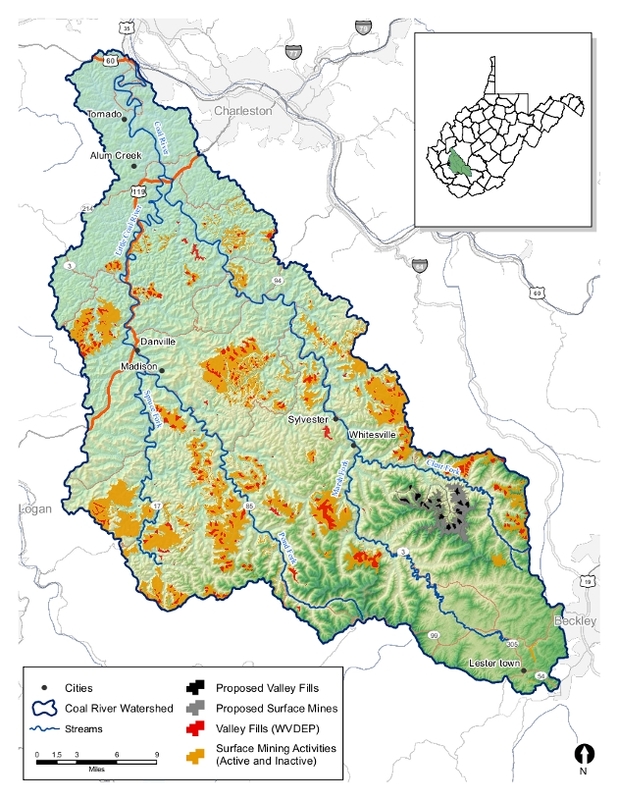 The third major mountaintop removal permit for Coal River Mountain is the Leather Leaf permit encompassing 1,200 acres; this permit was applied for in January 2010 but it has not moved forwarded in the application process after the DEP requested more information from the company. A smaller permit, the Collins Fork permit was applied for in February 2008 and is pending technical corrections. Both of these permits have yet to go through their public comment periods. Since mining operations began in the fall of 2009, residents and activists have raised concerns about blasting in proximity to the Brushy fork Impoundment. 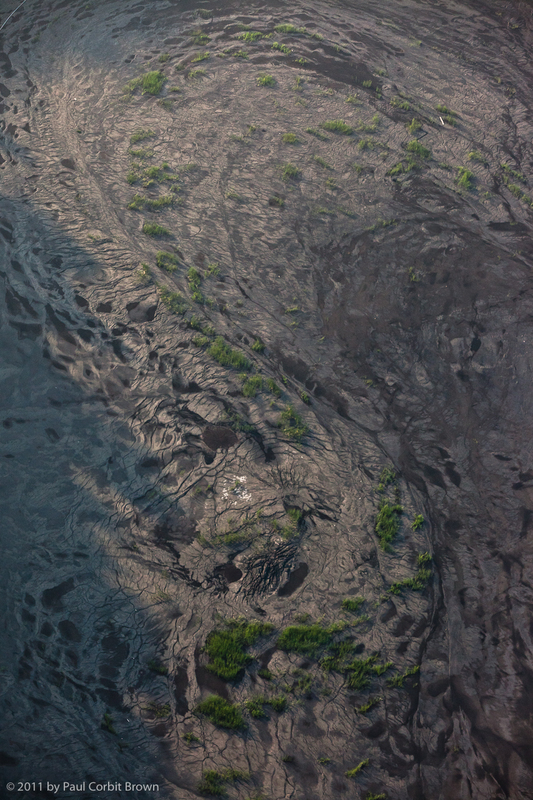 A slurry impoundment is a huge pond, held back by an earthen dam, containing the toxic residue left over from the process of washing coal before it is burned in a power plant. All of the chemicals (some of which are carcinogenic) used in the washing process, as well as the heavy metals and other minerals removed from the coal are part of the slurry. At the current stage the dam is impounding about 5.5 billion gallons of coal slurry with a capacity of about 7.5 billion gallons. 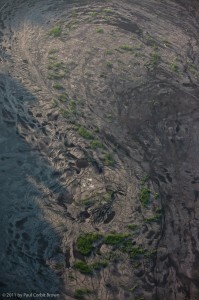 a picture of slurry from a flyover. Blasting occurs daily on the Bee Tree site within 2000 feet of the Brushy Fork Slurry Impoundment. There are serious concerns that blasting may increase the risk of dam failure or impoundment basin failure by cracking the less than 200 feet of inter-burden between the toxic coal slurry in the impoundment and unstable underground mines below. A dam failure would be similar to that of the Buffalo Creek disaster in 1977 which killed over 100 people. A basin failure would be similar in nature to that of the Martin County Kentucky coal slurry disaster in 2001 where slurry leaked into abandoned underground mines and burst out the side of the mountain. The Brushy Fork impoundment is now holds 10 times more slurry than both Martin County and Buffalo Creek. According to the Emergency Evacuation Plan prepared by Marfork, a failure of the dam would send a wall of slurry down the Coal River for more than 25 miles. (More information on the Brushy Fork Impoundment and the Emergency Evacuation Plan). Portions of the dam and pond are sitting just 150 feet above abandoned underground mines. 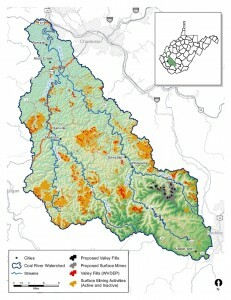 Marfork Coal Company, Marfork’s Consultants, the WV Department of Environmental Protection (DEP), and federal Office of Surface Mining Reclamation and Enforcement (OSMRE) assured the public that proper engineering review considerations have been made to address stability issues in the mine complex beneath the impoundment. During a series of reports from 1999 to 2004 it was discovered by Marfork consultants that several pillars failed to achieve the desired long-term safety criteria. Marfork consultants and the DEP determined that given the abnormally dry conditions in the coal seam beneath the dam, weathering and deterioration of pillar strengths was not likely to occur. The last known site visit by the WV DEP to inspect the pillars was in 1999 and Marfork likely preformed underground inspections as late as 2001. Journey Up Coal River – A fascinating, interactive mapping project that combines music, audio, photography and the written word to tell the story of the Coal River Valley, West Virginia. History of the Coal River Valley: Gives an overview of the history and social geography of the CRV, including sections on absentee land ownership, outmigration, and community use of the land. Land Use: Includes sections on current land use on Coal River Mountain and in the valley, underground mining, forest resources and timbering, and current community use of Coal River Mountain. The Brushy Fork Slurry Impoundment: Start here to learn about the largest slurry impoundment in North America, similar slurry impoundments and disasters, see maps and photos of the impoundment, and hear an interview with Jack Spadaro, former director of the National Mine Health and Safety Academy. A Community and Strip Mining: Learn about the communities of Shumate and Hazy, destroyed by MTR, and the current communities of Edwight and Pettry Bottom. Marsh Fork elementary school is also discussed in this section. This is a good place to start to learn about how MTR and valley fills can completely destroy a community and the surrounding area, history, and culture. Public Health and Coal Slurry: Introduces Prenter and the surrounding communities who have suffered severe public health problems from slurry injection…and organized to get clean water! Community Resource Mapping: Includes interviews with local residents regarding community resources and future visions of the valley. Alternative Energy on Coal RIver Mountain: This section gives detailed information about wind energy as an alternative to MTR on Coal River Mountain, and also includes a community organizing for wind guide.